DAY 1: Arrival and transfer to your hotel in Entebbe. Met by our local guide for transfer to your hotel in Kampala. Entebbe is about 41kms from Kampala. You will remember that it was at Entebbe where the Israelis heroically released hostages that was on a hijacked Air France Airbus in 1976. This green breezy town was also the first capital of Uganda. Sir Fredrick Treves described it as ‘the prettiest and most charming town of the lake – a summer resort where no more business is undertaken than is absolutely necessary. You spend the night at you comfortable accommodation, Mosa Courts (upgrade available to Emin Pasha Hotel) for dinner and over night. Bed, Breakfast. Breakfast at your hotel before we drive heading to southwestern Uganda. En route, there is a local community popular for making local drums and crafts and a fruit market. Stopover, admire and buy yourself souvenirs. Proceed to the Equator line taken as one beautiful scenery in Africa - the pathway of the sun and take photographs. You may be amazed by the local Hima pastoralists grazing the famous Ankole long - horned cattle. Take pictures and proceed. The Bwindi area is a highly fertile, mountainous region with steep sided hills covered from top to bottom in neatly terraced rows of cultivation. You are really driving through the “Banana Republic” with banana plantations all around you, steep hills, small rivers……just amazing scenery. Arrive late afternoon at the park and check-in at your accommodation Buhoma Community Bandas (with the option of upgrading to Bwindi Volcanoes Lodge/ Kitandara Tented Camp). Full board. 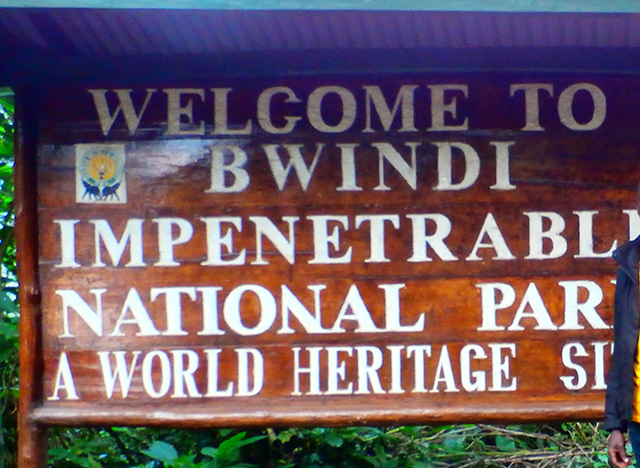 Estimated transfer time to Bwindi is 10 hours by 4 wheel drive vehicle. Today enjoy surely. After breakfast, proceed for the morning briefing before enjoying the highlight of the trip- Gorilla trekking which may last the entire day. We trek through the rainforest and bamboo covered slopes, accompanied by a guide and trackers, in search of a mountain gorilla family. The walking can sometimes be tough and long, but when you catch a glimpse of the magnificent silverback, any discomforts will be totally forgotten. These gentle giants are highly endangered and anyone suffering even the slightest of ailments including a cough will not be allowed to go this trek. When sighted, visitors will be guided to within 6 metres from the gorillas, sit around them for a whole hour while gazing into their big round eyes. These giants are so powerful and can sometimes weigh up to 250kilos. Pictures with non flash zoom lens can be taken. After these adventures we return to our camp for a well-deserved rest. Full board. 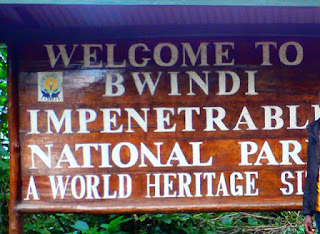 We set out early morning walk through beautiful forest grasslands as we head towards the breathtaking adventures of Bwindi Impenetrable Forest National Park . We relax mid morning as we take in the majesty of our surroundings. Heading to Munyaga water falls. After lunch, we go on a guided excursion through the villages here – (the Buhoma Village Walk) where you trek through coffee and tea plantations and learn more about the local culture in Buhoma. We return to the camp to get plenty of rest for the day. Full board. After breakfast we drive through stunning savannah grasslands as we head to Queen Elizabeth National Park. Either (roads permitting) we will pass the southern sector of the park – Ishasha, a remote and beautiful extension of Queen Elizabeth National Park that is host to a large variety and volume of wildlife. (It is a fabulous site to see the lions draped from the trees and nowhere in Africa do you stand a better chance of seeing this than in the large low limbed fig tree of Ishasha). Or take the alternative route through cultivated expanses. While in Queen Elizabeth National park we do a game drive in the northern sector of the park, the Baboon Cliff famous for its nice scenery, and good views of the shadows of the mountains of the moon – the Rwenzoris. Enjoy the drive back to the lodge through large expanses of savannah grasslands as you spot some wildlife enroute. Overnight at MWEYA HOSTELS (you can upgrade to MWEYA SAFARI LODGE/ JACANA SAFARI LODGE). Full board. We set out early in the morning for a game drive in the northern part of the park on the Kasenyi Track in search of lions, elephants, solitary buffaloes. 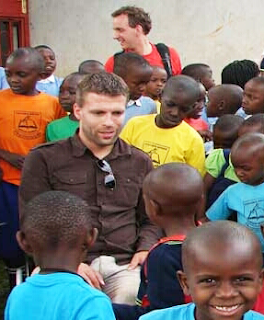 This is the best time for opportunities of viewing the cats in action owing to the vast population of Uganda Kobs. We have an excellent chance to view just about every animal here at very close range. Midmorning relax by the pool at the lodge. PM go for a launch trip along the Kazinga Channel. This gives you the opportunity to view wildlife up close: hippo’s huff and spray mere feet away from the boat, buffalo linger in the shallows. The shores of the channel are also home to an array of birds including pink backed pelicans, pied and malachite kingfishers, saddle billed stork and many others. After this wonderful afternoon, enjoy a slow drive to relaxation at our accommodation. Full board.